Vaccination: With the right vaccines, both hepatitis A and B can be prevented. For hepatitis C, on the other hand, there is no vaccine. Transmission: Hepatitis A is caught by eating or drinking something that has been contaminated by the virus. Hepatitis B and C are caught by coming into contact with the blood or bodily fluids of someone who is infected. Treatment: Hepatitis A doesn’t lead to long-term infection, and there aren’t any treatments available to cure it. Long-term hepatitis B infections are often treated with antiviral medications. 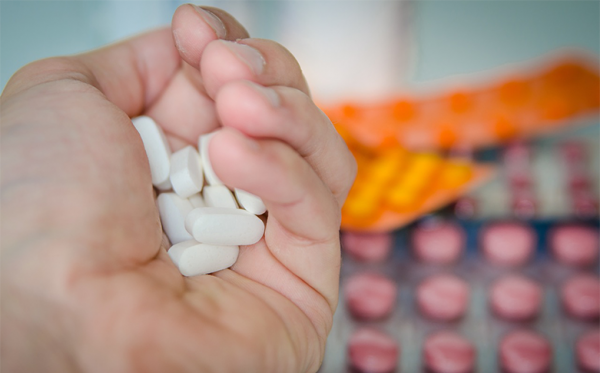 Long-term hepatitis C infections are often treated with a combination of different drugs. Liver Damage: Liver damage should be expected with chronic hepatitis infections. The extent of this damage, however, can vary considerably from one patient to the next. Diabetes: Studies have shown that hepatitis C significantly increases one’s risk of developing type-2 diabetes. It appears that the virus is able to interfere with glucose metabolism. Anemia: Hepatitis C patients often become anemic, but the virus itself isn’t to blame. Some of the most common drugs prescribed to hepatitis C patients cause hemoglobin levels to drop. When caring for a patient with hepatitis C, preventing transmission to yourself and other patients is of the utmost importance. To do this, avoid coming into contact with blood and other bodily fluids. If you need to draw blood or perform wound care, always wear gloves, and be sure to dispose of them properly before coming into contact with other patients. If the blood of an infected patient spills onto the floor or another surface, it’s important to have it cleaned as the virus can survive in dried blood for up to 4 days. While standard precautions should always be used, be sure to warn fellow nurses about hepatitis-positive patients during hand off so that they know to take special care to avoid contact with bodily fluids. Being mindful and adhering to facility policy will help to prevent needle sticks. Unfortunately, however, needle sticks have the potential to happen whenever working in a nursing capacity. In fact, according to OSHA estimates, approximately 385,000 needle-stick injuries are sustained every year by health-care personnel. If you suffer a needle-stick injury while caring for a patient with hepatitis, be sure to follow your facility’s protocol. Not only will this help to ensure that you’re tested and treated promptly, most health-care workers are expected and required to do so by their employers. When caring for a patient with hepatitis, you’ll have several different priorities. First and foremost, since hepatitis can cause serious harm to the liver, especially in chronic cases, you want to take steps to prevent extensive liver damage if at all possible. Largely, you’ll do this by providing patient education. Of course, the doctor should be the one to explain treatments like antiviral drugs to the patient, but you need to know enough about these treatments to reemphasize their importance and encourage your patient’s adherence to their prescribed program. Another important education topic to cover is hepatitis transmission; this will help to ensure that the patient takes steps to prevent spreading the infection to other people. There’s far too much important information out there on hepatitis to include it all in a single post, but is there something else that all nurses should know about hepatitis? Be sure to let us know by leaving a comment in the section below!